Please follow all Federal Range rules. Be SAFE and please clean up after. Remember that ONLY brass goes into the brass only container. Steel and alloy shells are trash. Please review the range rules and remember to act safely. All persons must sign in. Persons bringing a guest must complete a waiver form. Only one firearm at a time at a position. Firearms will remain unloaded, slide locked back/cylinder open with chamber flag installed with the muzzle pointed down range until the firing line is ready. Orange chamber flags are provided. All fire arms will be made safe before anyone goes down range. Eye and ear protection must be worn. All non-firing persons must remain behind the RED firing line. 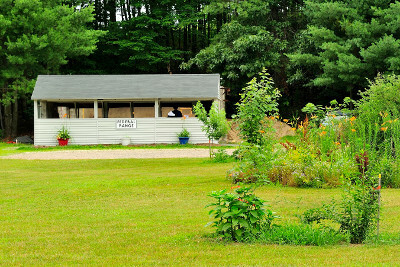 NO RIFLES, SHOTGUNS TO INCLUDE HANDGUNS THAT FIRE RIFLE OR SHOTGUN SHELLS ARE ALLOWED AT THE FEDERAL RANGE. THE EXCEPTION TO THIS RULE IS .22LR ONLY. Clean up after yourselves and spent brass ONLY goes into the brass bucket. Additionally, all loose targets are to be placed on the berm and not on the sandbags in front of the berm and no targets are to be placed on the floor of the range. The sand bags serve the purpose of holding the berm in place and not as a rest. Please, I repeat please, be careful. DO NOT SHOOT INTO THE STEEL OVERHEAD BAFFLES. 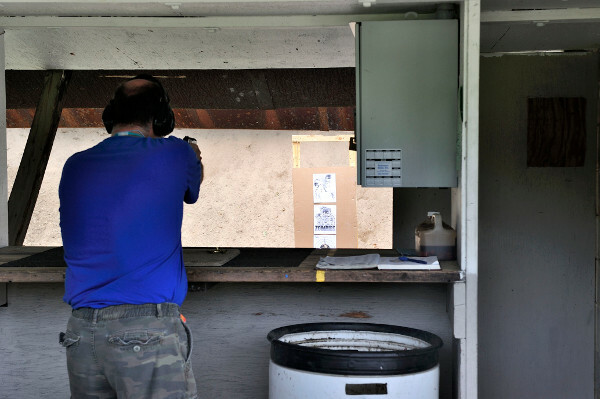 WHEN SHOOTING HAVE THE MUZZLE POINTED DOWNRANGE AT A TARGET BEFORE PULLING THE TRIGGER. Good shooting and be safe.